One of the most adorable events of the year is coming back to ABC7. 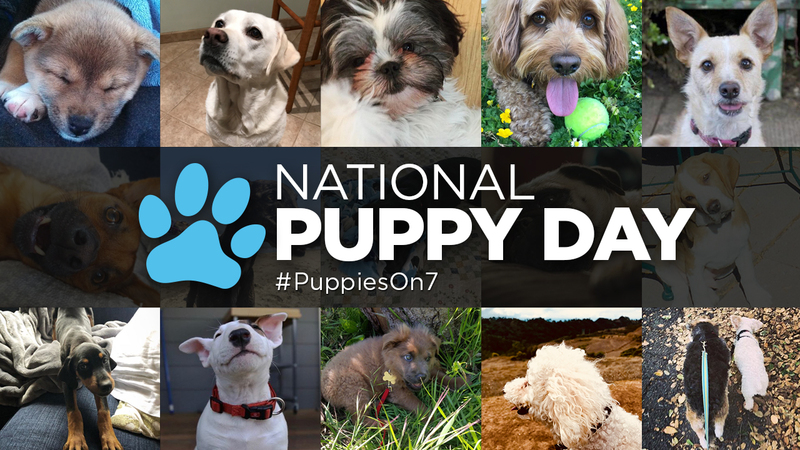 Mark your calendar for our annual National Puppy Day celebration on Friday, beginning at 4:30 a.m.
ABC7 is launching a big adoption event with our Perfect Pet partners in hopes of finding forever homes for puppies at Bay Area shelters. We'll be live streaming our puppy cam all morning here and on the ABC7 news app, along with information on you how you can take a puppy home. Click here to download the ABC7 app to get breaking news alerts and watch live ABC7 News video from anywhere.